Not actually our RV, but you get the picture! We were so lucky to have visited twenty-one national park sites during our one year on the road. In my experience, when it comes to traveling by RV, finding RV parks near national parks is one of the most important factors of a good visit. At least in the Misadventures family. I didn’t write a lot about the RV parks we stayed in. We paid for all our stays on our own. Meaning I didn’t do any sponsored work with any parks, so I didn’t feel the need to promote them. And quite frankly, the vast majority of them just aren’t that great. It’s something that I think the RV industry will need to work on as the market continues to grow. In 2016, the market grew by fifteen percent, the best growth its seen in forty years and experts believe the trend will continue. RVing is here to stay. But that is a whole other post! However, I did want to mention three RV parks we stayed in that were near national parks. There was one very important characteristic that they all possessed. When it comes to location, the following three parks are standouts. This was my second favorite RV park we stayed in all year. Snuggled up against the Great Northern Mountains, this spot is only three miles from the west entrance of Glacier National Park. The RV park is absolutely gorgeous, pristinely maintained and the staff is extremely customer-service oriented. There are wonderful extra large sites for big motorcoaches (like we have) as well as standard-sized sites for smaller RV’s. There are cabins and campsites with tons of amenities. There is even a stop for the national park shuttle, you don’t even have to drive to the park if you don’t want to! They serve meals in a friendly cafe and have lectures several times a week. We attended a wildlife photographer’s lecture while we stayed and it was wonderful. The one bummer for us was the lack of wifi. They had it in the visitor center/office, but not in the actual park. We ended up having to drive to a coffee shop a couple of times during our two-week stay to do email, etc. Overall, West Glacier KOA was a fantastic park in a fantastic location. We stayed in this park twice. For our two week visit to Yellowstone National Park in May and for two of the three weeks we visited at the end of Septemeber/beginning of October. It’s a nice, big, clean park with an excellent location. It is less than a mile from the west entrance of Yellowstone, you can’t beat that! There are other parks in the area, but they aren’t as close, or as nice. Their sites are big, the staff is extremely friendly, and in addition to being close to the park entrance, you are in walking distance from restaurants, stores and activities like the IMAX movie theater and the wolf refuge. We drove over 3,000 miles during our stay in Yellowstone and it was really nice to not have to drive too much farther to get to Yellowstone Grizzly RV Park. There are plenty of RV parks in the area surrounding Grand Teton National Park, particularly in Jackson Hole, but the only RV park close to a national park entrance is Fireside Resort. 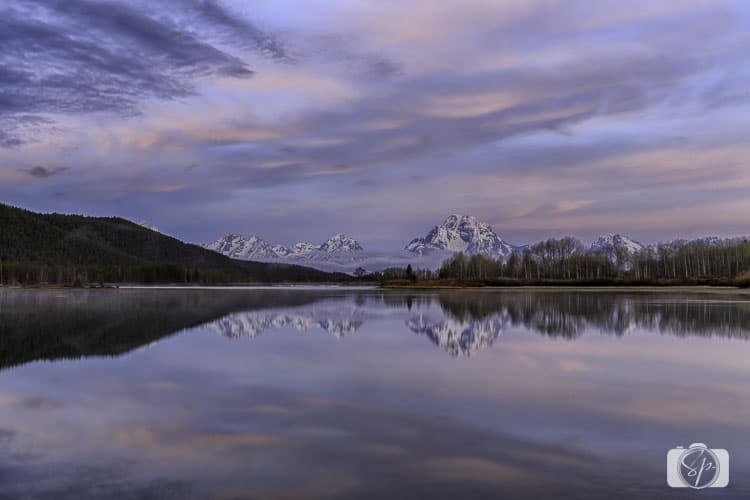 It is just under six miles from the Moran Entrance where you can easily access popular spots like Oxbow Bend. Yes, I know. The allure of Jackson Hole is there. That cute little town with all those restaurants. But our priority was being as close to the park as possible. After all, that is one of the perks of having an RV, we’re driving around with our own food and kitchen. Although we definitely did the forty-five minutes into town for a great buffalo burger. Now let me just say that I did not love this RV park. It called itself a resort, but that is definitely a stretch. Their sites are grass sites, not particularly long and the amenities are average. They charge quite a lot for what the offer. But once again, location was far more important to us because we were doing a lot of sunrise photography and driving during the day. The last thing we wanted to do was drive an extra thirty to forty-five minutes to get back to our rig. Well, that’s it. The three RV parks near national parks that we stayed in. Of course, if we were just four feet shorter, we could have actually stayed IN the national parks, but that four extra feet probably saved our marriage! When traveling full time in an RV every inch counts! For the most part, we had a really great experience at the RV parks near Glacier, Yellowstone, and Grand Teton. Based on what we were trying to do and see, the locations were perfect and I would stay in any one of them again. I would also recommend them if you are in a big RV and are trying to get as close as possible. How about you? 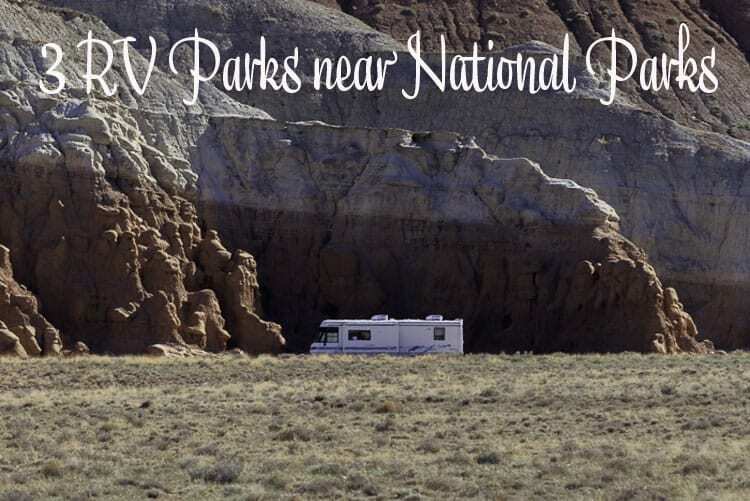 Have you stayed in an RV park near a national park? What was your experience? I would LOVE to go RVing. A friend from work is getting ready to retire, and she with her husband and kids are going to take a couple years, homeschool, and LIVE out of their RV traveling. Doesn’t that sound amazing? @Erica, my hubby and I have been living out of our RV for a little over a year and I can tell you, life is pretty interesting! Wow, twenty one parks seem like a lot to visit within one year! I’m very jealous of your trip as that sounds like a wonderful vacation. I’ve only been to Yellowstone, but I’ve been there once in the winter and once during the summer. The summer was much more fun because there was more wildlife and more opportunities to see the splendor. I know an RV makes the trip more manageable as you’re moving about, but I’m not sure I’d be up for the long times on the road. @Kathryn, We try to keep the driving to 4-5 hours a day when we go and stay in one place at least a week. Sometimes when you are going from one location to another you can’t always do that, otherwise, I can get tiring. Your photos make me want to get into an RV and go on a road trip. Thanks for sharing! Now, I want summer to hurry up and arrive. @Ann, it was such a great experience, I highly recommend it! My husband and I always say SOMEDAY we will retire – buy an RV and do things like this. 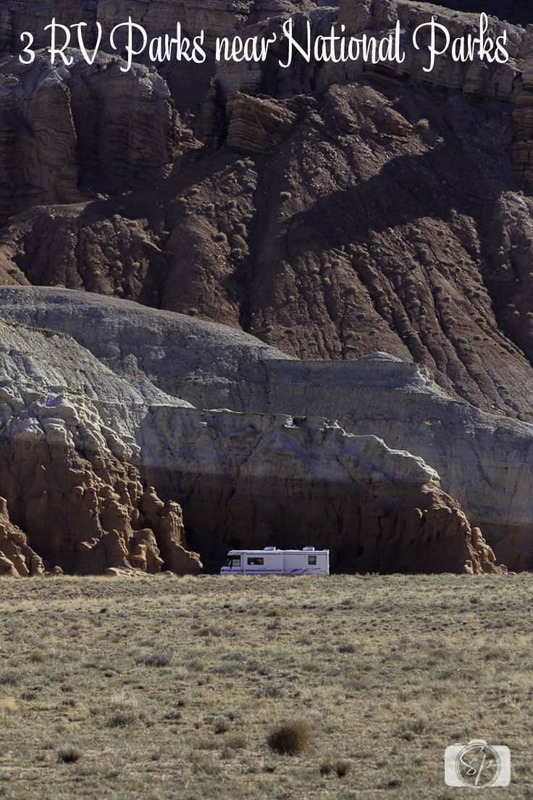 Looks like there are some amazing places in the world to go explore in our future RV! @Joely, yes, there is! We decided not to wait until retirement. We took a year off and had a great time. But now it’s back to the real world! We love to camp and to travel. One of these days we hope to visit Yellowstone. The park looks and sounds like a great experience. The photos always look beautiful, and i bet it’s even better in person. @Jenn, it’s absolutely amazing and I would go back in a heartbeat! 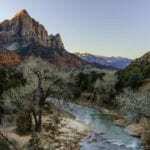 One of the things that I aim to do when I get to the USA is to visit some of the national parks. They all look so amazing! I’ll definitely take note of these ones that you recommend. Thank you! 3 impeccible locations to spotlight that I would imagine are perfect for an RVing trip. 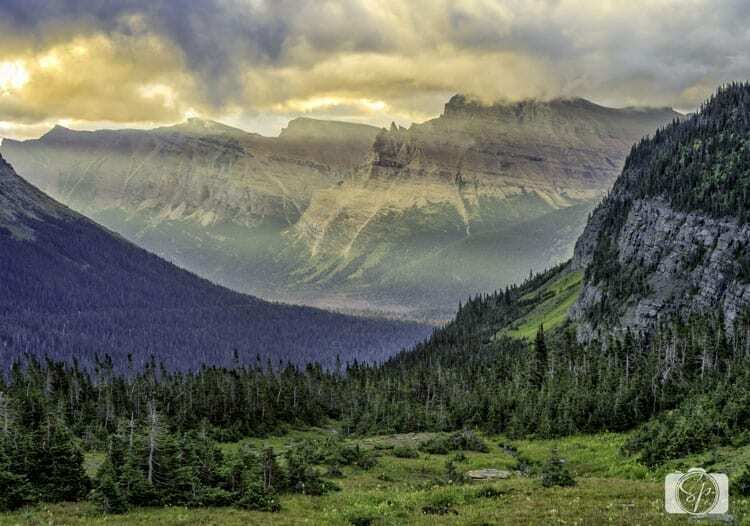 Glacier National Park is right now probably at the top of my list, although I probably won’t be visiting it by RV any time soon. Glad you encouraged people to not get sucked into Jackson Hole, it’s one of my favorite domestic towns and the temptation really is there, but you stuck with nature and that’s what counts most IMO! @Grieg, I really want to go back to Glacier. The weather wasn’t the best when we were there, so I’d love to get to a few places that were accessible to us when we went. I think if I go to Jackson Hole, it’s to focus on exploring the town and not trying to do the park and the town. My sister went to an RV park last year and she told me so many great things about her experience. I definitely want to be a part of this type of travel weekend someday soon. @Stephanie, it is a great experience just to rent and go for a trip. But you might get hooked! @Carol, great tip. And you are absolutely right, we’ve done that too! When I was a kid, we did a lot of RV travel as a family, including a summer visiting all the national parks in the US. I have wonderful memories Grand Teton national park, would love to go back and explore these spots! @Annie, I never had any experience with RV before, I wish I had, it seems like it would be fun as a child, carefree and no worries, as an adult you’ve got to do some work, but it is still worth it! RVing to national parks has long been on my must do list. I’ve bookmarked your post to. E sure that we check them out when we do make the trip. Great information. Thank you! @Sue, it’s such a great way to do the parks. Even if you just rent an RV! It makes you very autonomous. Love your work Andi. We try to check in when ever possible. You completely buried lead on this story for me… We are contemplating getting an RV specifically for traveling to National Parks and have been wondering what size RV we would want to be able to live in but also not be too big. We haven’t considered being too big for to get into the parks. I just googled it and it seems like even if you’re technically “allowed” in the park, often times the larger spaces are not available. Have you written an article about how to choose the optimal size RV? Do you have any wisdom you could share in the comments? @Jenn, I haven’t written an article yet, I have so many RV posts to write! I would say the maximum length is 36′, but it is true, even with that spots may be harder to come by. However, it’s a matter of comfort too. If you are going to live in it full time I would say you can’t possibly go smaller than 28′. We have friends who have the 36′ version of our rig and they have been just fine in national and state parks. But as you can see, even with big guys like us at 40′ or others at 45′ there are RV parks very close by the national parks. If we had to buy again it would be 36′. Wow! Series of 3 good national parks. What an experience. And to think that there are 18 more!!! I hope to get to atleast one of these. I will check out for these RV parks. 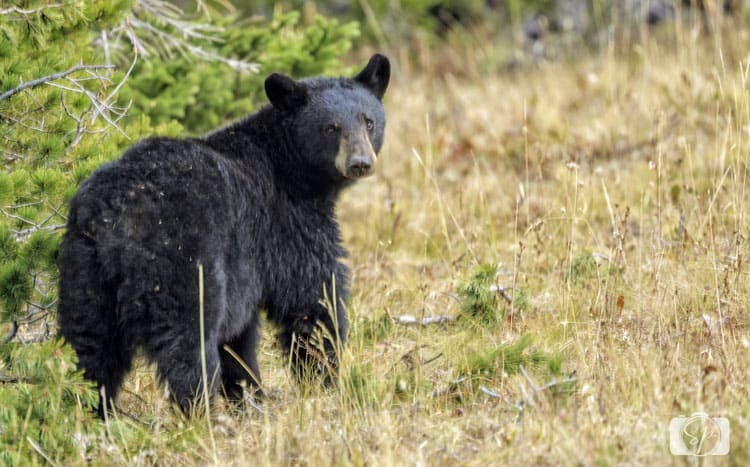 Sighting a grizzly bear in the Yellowstone National Park would be great! @Indrani, the RV was so convenient for visiting the parks! Seeing a grizzly is very exciting! Oh, these are good suggestions! I’ve only been on one RV trip, but it was fun, and I’d love to do more! @Kristen, where did you go? We had a blast! @Marlene, it is such a great way to travel, I hope you get to do it someday! I’m dying to go to the National Parks, but never thought about a RV. These views are so worth it, though!! Lovely. @Rachel, having an RV allows you to get up close and personal with the parks! This is GOLD! We just moved back to the US after living and traveling in Europe for the last 6 years. We can’t wait to explore and travel the US now and have been seriously contemplating full time RV life to do so! @LeAnna, if I could have figured out how to have a full time job, I would continue to do it, it’s an amazing way to travel! Congratulations….21 one RV national parks in one year. Sounds like an amazing year of beautiful views of the country. Love the goregeous photo of Grand Teton National Park, …defintiively worth the the RV experience. Never been on a RV before and it sounds like quite an experience. Enjoy!!! @Rosemary, I’m not surprised you haven’t been in an RV, all those foreign locations you’ve been, most of them would be hard to get around in a big guy like we have. But if you do a road trip in the US one day, you should try it out! My husband as been talking about renting an RV and taking a road trip as a family! I’ve never been in an RV before so that would be fun! Would definitively check out spots that have RV parks. @Marielle, you will love it! Great suggestions and information! We haven’t taken our camper out of state yet, but I definitely want to do that in the future. There are so many places that we would like to visit, especially National Parks. @Kristy, as you probably know, it is a great way to get up close to the parks. Hope you have a great trip if you do get out of state! Growing up, I visited a few National Parks with my Grandparents, always a fun, adventurous summer of camping! I have really great memories! @Betsy, ah that sounds like a lot of fun! I didn’t do much camping as a kid, guess that’s why I have tons to make up for! Seeing the US and Canada by RV is definitely on my bucket list. It must have been amazing to wake up to these gorgeous views everyday. @Adelina, it was fabulous, Mother Nature at her best! We have stayed at the West Glacier KOA and it’s a great campground. National parks offer great camping inside the parks, but for anyone wanting some of the amenities of home there are great options. Estes Park is home to a great KOA right outside of Rocky Mountain National Park. These three are a great list for anyone wanting to explore these three awesome national parks. @Sara, thanks for the recommendation. I have an aunt and uncle near Estes Park and we visited near there in April but stayed in Colorado Springs. We were snowed out of going to the park so want to go back, it’s great to know the KOA is good there! Love your photos, especially of Wyoming! I’m so eager to visit that state. We camp a lot, and swear by state or national parks as much as possible. I’m not a fan of private RV lots (resort really isn’t the word, as you say) and we avoid staying in them unless they’re incredibly well situated, well-run and reviewed, or there’s no other choice. @Claudia, definitely the first two parks fit the bill. The third one as I mentioned, is just incredibly well situated. We did stay in some nice parks during our year on the road, but also many, many bad ones! Haha I”ve actually noticed a trend of RV parks calling themselves resorts recently – must be trying to aim for a bit of the luxury market! We love traveling by car, we haven’t done an RV yet, though we usually rock up to RV sites for their camping sites … love that these are so close to some of the US’ most epic national parks! @Megan, most of the RV parks have a LONG way to go before they come anything near to luxury, it is pretty hilarious! @Jenn, totally a girlfriend kind of gig, as long as someone doesn’t mind doing the dirty work! Great information. I’ve been wanting to take an RV trip for so long. I love Yellowstone and would definitely go back so thank you for that RV park distinction with others close by. Pinned so I don’t forget! 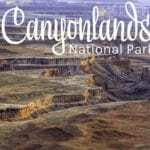 @Raine, RV’s are great for seeing national parks, I know you would enjoy the trip! @Jessica, as the industry continue to grow, it’s going to have to! Oooh those places are spectacular! The sunset photo from Grand Teton National Park is simply the most stunning scene ever! @Krista, thanks! Grand Teton is a beauty! National parks are the definitely worth going to! RVs are a bonus.